Duh, Stacey! First off, the bill is ridiculous, frivolous, pointless, ineffective, ideological, and a waste of time. 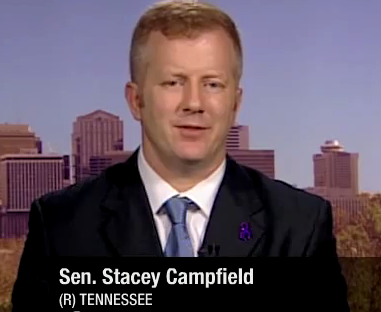 Second, we don’t take kindly to some “straight” dude named Stacey Campfield (OK, I know it’s a cheap shot, but the irony is just TOO MUCH) telling us that he knows what’s best for everyone’s kids. He insists on letting “the families decide” because this is a “controversial issue,” which seems like an awfully slippery slope. If we just start ignoring controversial issues in education, what kind of children are we going to be raising as the next generation of Americas? One that is impossibly ignorant and unable to think critically for themselves? I thought school was about creating well-rounded individuals through a broad base of knowledge, not about creating an ideological playground.